These pen kits utilize real cartridge cases as part of the kit. Please be sure to read the details for each item. 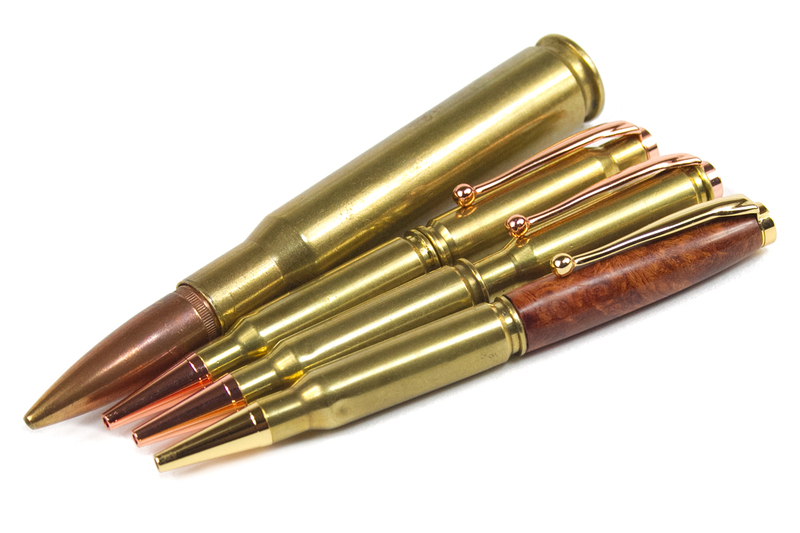 The 50 caliber blank kit requires the purchase of a cigar pen kit. The other kits may or may not require turning a barrel.